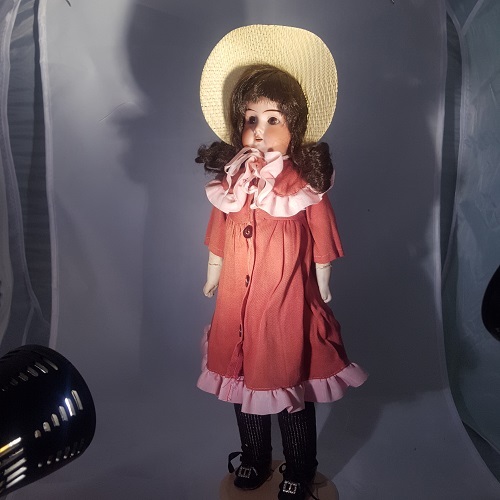 Adorable little girl marked AM Germany from Armand Marseille in the late 1800's She measures 17 inches tall and has a kid body. Her head is bisque. Her eyes are glass. She dressed appropriately for the time and sports a cute little bonnet.